This year we will once again run our Science Industry Nights for each school. 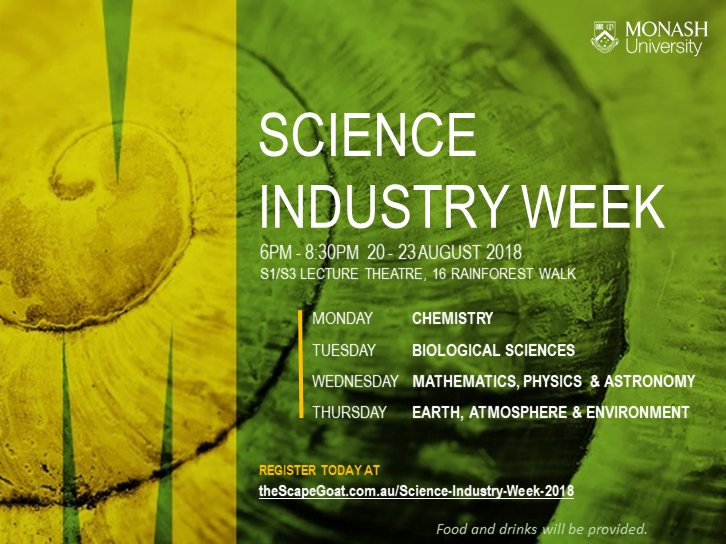 This will be a fantastic and exciting event and an excellent opportunity to hear about career options with a science degree. Enjoy the free food and drinks! Employers attend these events to promote their graduate and vacation work programs, internships and professional positions. Hear from industry representatives sharing their career journeys and experiences through networking discussions. 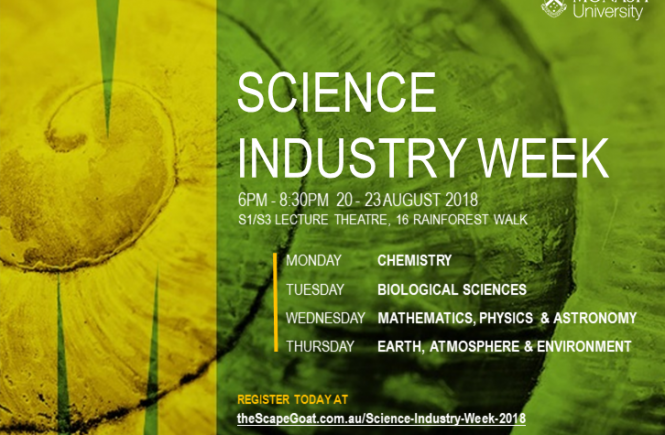 Panellists at Science Industry Week 2018 coming soon. See where your Science degree can take you.